I’m a Disney fanatic and, as such, I adore Disney Princesses. That’s why I’ve decided to make my own personal list of why I love the official Disney Princesses and what makes them special to me. Please Note: I will NOT mention Elsa or Anna since Disney officially excluded them from the Disney Princess lineup. I mean, come on, they have their own franchise. What else do you want? Sure, Disney Princesses are pure and kind, so it should come as no surprise when I tell you that Snow White is extremely sweet. But, truthfully, she goes above and beyond Disney Princess pleasant. Maybe it's because of her age (she’s 14 years old! ), but her naivety and simple way of looking at life are something that's always been charming. Now, I understand that the “classic” Disney Princesses weren’t all that interested in helping themselves. They were content with waiting for others to save them. Cinderella is no different, since she was aided by the fairy godmother and her mousy mates; however, she can be quite resilient, especially if you’ve watched the live-action Cinderella. Her patience and perseverance is what makes this princess stand out. You’ve probably already heard that Aurora is the princess with the least amount of dialogue. Not to mention, she sleeps during all the good parts (and misses the freakin’ dragon), but the reason why I appreciate this sleeping beauty is that she’s a dreamer. I’m not talking about dreams you have when you’re asleep: I'm talking about her daydreams, her imagination. Just listen to “Once Upon a Dream". She dreamt up Phillip's appearance before she even met him. I mean, who does that? Plus, she has to have some degree of imagination to occupy herself in the middle of nowhere. I adore The Little Mermaid! I think Ariel is so flippin’ adorable. Though 16 years old, she still keeps her sense of childhood wonder. We first see this when she's scavenging for sunken artifacts and gathering information about the human world. She's absolutely amazed when she finds a fork. It's always interesting to see her get excited about the most mundane things, like said fork! I can't help but admire her when she marvels at the smallest of things. After all, not many people appreciate the little things in life. Belle has always been my favorite princess. Ever since Beauty and the Beast came out (I was a baby, but still), I’ve been fascinated. And I think it’s because I see myself in her. I’ve always loved books and thirsted for adventure. In fact, sometimes I’ll randomly wander off the beaten path from time to time, just so I can see that crumbling, old church or hidden beach cave. I know Belle has that same ache for adventure and pull towards the strange and the unknown. Not to mention, she’s fearless. She travels through a spooky forest to find her father and then agrees to stay in his place as the Beast’s prisoner. 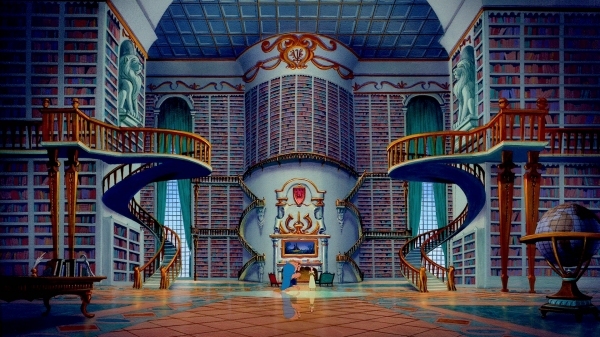 Thankfully, the Beast makes it up to her with this glorious library! Sometimes, it's difficult to stand up for what you believe in, especially when it's the opposite of what your own family holds true. When Jasmine is told she must marry a foreign prince while all she wants to do is live her own life, she escapes into the city. It's no wonder I was so intrigued by her. She’s feisty and resourceful, not to mention brave. Her rebellious nature definitely makes her one of my favorites. In Pocahontas, we see the struggles between two completely different people: the Native Americans and the Europeans. But Pocahontas doesn’t see them as different. Rather than seeing skin color, she looks within and focuses instead on others' hearts. Her mature outlook on human nature and fair-mindedness make her a true Disney princess. Disney movies tend to give me chills (in a good way, of course). 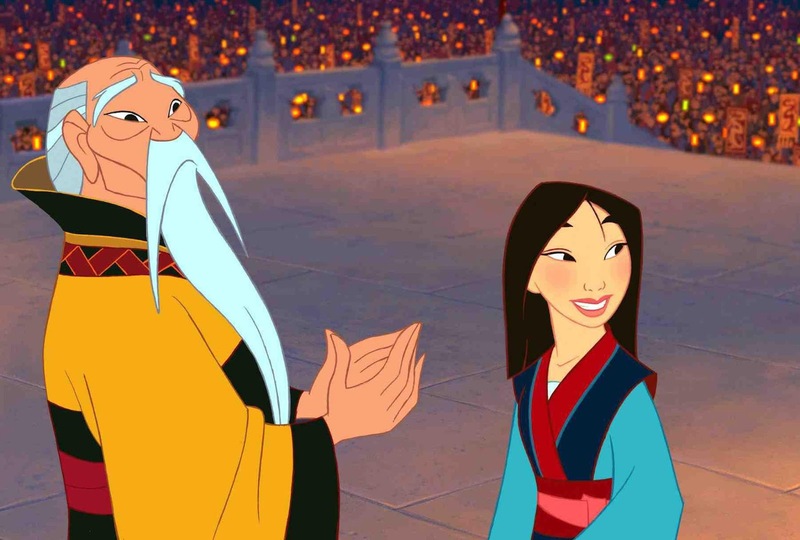 And a good example of that is in Mulan, when the emperor gives the sword of Shan Yu to Mulan as a gesture of respect and honor. And she deserves it. She saved China by impersonating a man so that she could take her aging father's place. Her sense of honor and love for her family cannot be overlooked. Out of all these lovely ladies, Tiana is, hands down, the most hardworking princess (sorry, Cinderella). I mean, she works day and night just so she has a chance to save up for a her dream (to open her own restaurant). Cinderella, you clean houses, and more power to you, but waitressing... Tiana takes this one. She doesn't give up the dream, no matter the hurdle and by the end, she’s “on her way” to making it as a restaurant owner. First off, have you SEEN Rapunzel’s room?! It’s like an explosion of artistic talent. It made me wish I owned my home and could actually paint the walls. Also I can definitely relate to her wanderlust. She dreams of seeing the world, and I’m right there with her. I want to see Asia, Africa, and everywhere else too! Rapunzel is no different. No matter how dangerous, she’s willing to set sail and venture forth. Well, of course I have to say Merida is beyond brave. She races against time to save her mother by completing a dangerous quest. Her family is always on her mind. She MUST save them. She’d do anything for them. 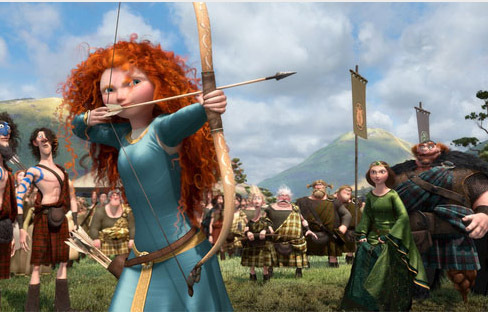 But what I truly appreciated from the film, and from the Scottish princess, was Merida’s fierce independence. She didn’t need to fall in love in order to be whole. So many girls and woman feel like they have to find a man. Time is running out, right? But, you know, you don’t have to do that. In fact, you could just follow your dreams, figure out who you are and become brilliant, magical, and mighty just like Merida. Which Disney Princess is your favorite? I love this! It's so adorable.